Unlike Vehicle plates, Trailer Plates only have to be registered once – there is no annual renewal like for a vehicle. You will need to provide proof of ownership in the form of an original Bill of Sale. If you have purchased the trailer from a dealer, the dealer can email the Bill of Sale to eastcalgaryregistry@gmail.com or fax it to us at 403 272-7037. The cost is $109.45. If you are purchasing a vehicle which was previously registered in Alberta, please visit Registries Plus to register the trailer in your name. We will need to see a complete and original Bill of Sale. If you have purchased a brand new trailer, we will need to see the NVIS (New Vehicle Information Statement) or Statement of Origin. If you wish to register a trailer that you have constructed yourself and which hasn’t been previously registered, you will need to undergo the Assigned VIN Program, administered the VIN Verification Services Corporation. 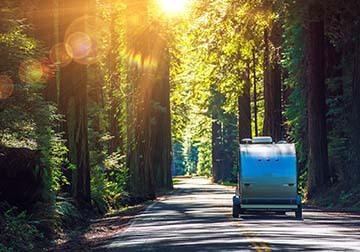 We don’t need to see proof of insurance to register a trailer, but you should contact your insurance company to have the trailer added to your policy. If you can’t come into the Registry yourself, please ask the person who is coming in on your behalf to bring an original completed Authorization for Vehicle Services Form in which you provide consent for the individual to register the trailer in your name on your behalf. The person coming into the office will also need to show his valid photo ID.